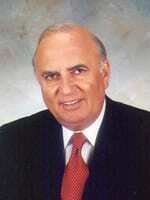 John P. Cardillo, Esq., Board Chair, Member of Medical, Governance and Development – Neighborhood Health Clinic, Inc.
Mr. John P. Cardillo has been practicing law in Naples since 1972. He is a partner in the law firm Cardillo, Keith & Bonaquist, P.A., where he concentrates on representing clients in personal injury, criminal and general civil litigation cases. He graduated from Furman University with a B.A. degree in 1964 and the University of South Carolina Law School with a J.D. degree in 1968. From 1992 to 2002 Cardillo served as the Governor for the Twentieth Judicial Circuit of Florida to the Board of Governors of The Florida Bar, and served six years on the Florida Judicial Qualifications Commission. He is a past President of the Collier County Bar Association. He has also served the Naples community as President of various civic and charitable organizations. He was awarded the Naples Daily News’ Outstanding Citizen for 2005 and the Collier County Judges’ Donald Van Koughnet “Lion of the Law” Professionalism Award in 2003, as well as the Florida Bar’s G. Kirk Haas Humanitarian Award in 2001. He and his wife Linda have raised four children: John, Joseph, Margaret and Mark, educated in the local public schools.